Neurodegenerative diseases are those which result mainly from dysfunction of the central nervous system (the CNS, made up of the brain and spinal cord) as a result of damage to neurons, the primary cells of this system that communicate with each other to send signals throughout the brain and body. Damage to neurons of the CNS can result in a decreased ability to send signals to the peripheral, autonomic, and enteric nervous systems, which make it possible for us to move, touch, digest, breathe, react to and sense our environment, and in general, to live. When cells of the central nervous system are destroyed and/or not able to communicate with each other efficiently and effectively, symptoms such as cognition and memory impairment, muscle incoordination, weakness, spasticity [i.e. tight muscles and exaggerated reflexes], paralysis [i.e. an inability to move], rigidity [i.e. tight muscles], and more can occur. These symptoms can cause substantial decreases in quality of life for patients, and even death when involving reduction in function of important physiological processes like breathing and heart function. 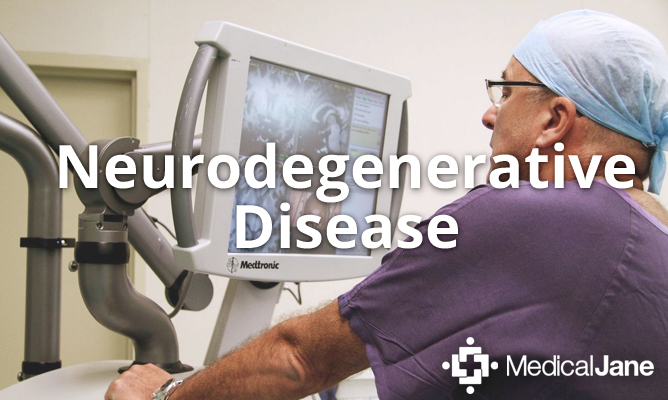 Neurodegenerative disorders are so debilitating partially because neurons are one of the few cell types with a very limited ability to regenerate (along with heart cells and skeletal muscle cells). In most cases, once neurons have been destroyed, they cannot grow back. Examples of neurodegenerative diseases include Alzheimer’s, Parkinson’s, Huntington’s, amyotrophic lateral sclerosis (ALS, also known as “Lou Gehrig’s Disease’), spinal muscular atrophy, prion disease, and others. While multiple sclerosis (MS) has been thought to stem primarily from an autoimmune response (one in which the body starts attacking itself), there is mounting evidence that it is a disease caused by a mixture of an autoimmune and primary neurodegeneration process. A significant amount of research on cannabis has been conducted on the plant’s potential harms in relation to brain function. 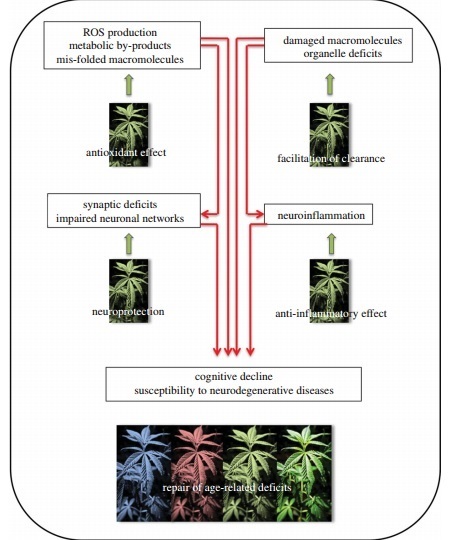 However, the evidence suggests that not only are long-term, clinically significant cognitive deficits unlikely if use begins in adulthood, especially in the absence of chronic and excessive use, but cannabinoid medicine may actually prove effective in halting or reversing debilitating neurodegenerative disorders. Note: Cognitive declines as a result of use have generally been conducted using recreational users who self-report frequency of use and smoke marijuana of unknown potency and quality; studying marijuana use with alternative delivery methods (e.g. vaporization, ingestion) and controlled frequency of use with whole-plant cannabis of known ratio/concentration/potency in an adult patient population may yield vastly different results than those discovered to date which have indicated harm. 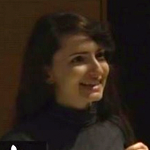 According to an article published by the Harvard Neurodiscovery Center, “If left unchecked 30 years from now, more than 12 million Americans will suffer from neurodegenerative diseases.” It is therefore imperative that the medical and scientific communities continue to extensively research any and all potentially successful therapies for these disease processes. “Signalling from the CB1 and CB2 [i.e. cannabinoid] receptors are known to be involved in the regulation of Ca2+ [calcium] homeostasis [i.e. the mechanism by which systems are kept balanced], mitochondrial function [i.e. function of components of cells that produce energy], trophic [i.e. growth] support and inflammatory status… while other receptors gated [i.e. modulated/controlled] by cannabinoids… are gaining interest in their anti-inflammatory properties. Through multiple lines of evidence, this evolutionarily conserved neurosignalling system has shown neuroprotective capabilities and is therefore a potential target for neurodegenerative disorders.” While the current article briefly touches on the evidence that exists for the potential of cannabinoid therapy as treatment for neurodegenerative disorders, the BJP article will provide a more extensive overview. Additionally, a study published in July 2014 in the Journal of Neuroscience Research found more evidence to support the potential of cannabinoids to act as anti-inflammatory and neuroprotective agents, showing that ultralow (non-psychoactive) doses of THC were protective against “neuroinflammation-induced cognitive damage” (this study and was reviewed previously on Medical Jane). In the image below, ROS stands for “reactive oxygen species”, which are created as intermediate products in natural physiological processes, but can cause damage to cells and tissues. “Synapses” are the junction between two neurons where signals are passed/communicated, and “organelles” are components of cells that have specific functions (e.g. mitochondria are organelles). Given the highly favorable safety profile of whole-plant cannabis, and the severely debilitating symptoms caused by certain neurodegenerative diseases which could potentially be alleviated by its use, whole-plant cannabis medicine may be a safe and useful additional therapy for patients with certain neurodegenerative diseases who are finding it difficult to control their symptoms with standard therapy. Increased research on cannabinoid medicine and modulation of the endocannabinoid system in relation to neurodegeneration has the potential to lead to novel therapies which may help to prevent progression, and potentially initiation, of these diseases. For information on how you can advocate, expectations, and safety in considering whole-plant medical cannabis use, click here. Please click the following links to access Medical Jane articles reviewing the evidence for the potential of cannabinoid medicine in treatment of the following neurodegenerative diseases: ALS, Alzheimer’s, Parkinson’s, and Huntington’s. For an overview of the potential of cannabinoid medicine in managing multiple sclerosis, please see Medical Jane’s previous coverage of this topic here.